Scholarship of Discovery - the search for new knowledge, contributing to one's field. Scholarship of Integration - scholarly or creative activity that creates connections across disciplines and furthers knowledge through synthesis, possibly educating non-specialists. Scholarship of Application - creates and tests new theory and understanding through application of knowledge to current social issues. The scholar may ask "How can knowledge be responsibly applied to consequential problems? How can it be helpful to individuals as well as institutions?" Scholarship of Engagement - connects any of these dimensions of scholarship to the understanding and solving of pressing social, civic, and ethical problems. An opportunity to integrate research and service. Based on the seminal work of Ernest Boyer and the subsequent work of Charles Glassick, these paths lead to rigorous work through a scholar's clear goals, proper preparation, appropriate methods, significant results, effective presentation, and reflective critique. Boyer, E. 1990. Scholarship Reconsidered: Priorities of the Professoriate. Princeton: Carnegie Foundation for the Advancement of Teaching. Glassick, C. E., Huber, M. T., & Maeroff, G. I. 1998. Scholarship Assessed: Evaluation of the Professoriate. San Francisco: Jossey-Bass. An important, expanding path for scholarly work is now called Scholarship of Teaching and Learning (SoTL). SoTL is briefly defined as “systematic reflection on teaching and learning made public” (McKinney, 2013 , p.1). It consists of research done by faculty members in their classrooms in order to improve teaching and learning. Research findings are made public through presentations and publications. SoTL is a rewarding and efficient way to integrate your teaching and research, helping you remain productive in both areas while deepening your understanding of effective teaching and learning. It can also help you revitalize your approach to teaching or embark on a new research agenda. Because SoTL already has a substantial history stemming from the mid-1980s, there are many conferences and journals where you can present and publish your work. 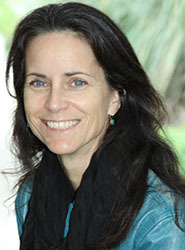 For questions about FDC services or for individual or group consultations on your research projects, contact FDC Faculty Coordinator for Scholarly and Creative Activity Dr. Terri Patchen at tpatchen@fullerton.edu. You can also find complementary support for the research development process at http://www.fullerton.edu/research/.